1. What Is Mother’s Milk Tea? 3. Does Mother’s Milk Tea Work? A mother is a primary caregiver for a newborn baby, and this also includes providing him the best possible nutrition. Doctors claim that children fed solely on breast milk for the first six months will grow into healthy adult. There can be times when a new mother is unable to provide this basic nutrition to her child. This can be quite depressing and frustrating for her. But, it’s not the end of the world. The good news is you don’t have to doubt yourself as a mother, as there are some natural and very effective ways to promote lactation in women. One of the most popular and widely used methods is consuming Mother’s Milk Tea. Mother’s Milk Tea is increasingly becoming popular and is often recommended by health practitioners. If you or someone you know is experiencing low supply of breast milk, Mother’s Milk Tea can be an option that you can try or suggest. However, before you do that, here is some information that you should educate yourself with so that you make an informed decision. Mother’s Milk Tea is a healthy blend of several herbs that contribute to increased lactation in women. While there are many such herbal tea blends commonly available in the market, and you can quite easily use them, there is also a method of making the mother’s milk tea at home. In this case, you can choose the loose leaf blends available of various herbs and customize your tea based on your preference and requirements. Most women, who start drinking Mother’s Milk Tea, report a significant difference in the quality of the breast milk production after a few days of consumption. That’s because the mother’s body takes some time to absorb the herbs to start showing the results. Many moms have found Mother’s Milk Tea to be very effective. This has prompted them to continue using the tea for as long as they choose to breastfeed. When you are educating yourself about Mother’s Milk Tea, you will often come across the term galactagogue. This term refers to all those foods, herbs, and medicines that promote milk production in a mother’s body. There are about 30 or more such herbs that can promote lactation in women. Most of these herbs are commonly available spices, and it is quite astonishing how these simple ingredients can actually support milk production and milk flow. Many of these herbs are present in Mother’s Milk Tea to promote lactation. As a result, the tea is organic, and it offers some relief if you are struggling to supply milk to your newborn infant. Yes, it does work. That is because of the many herbs that go into making it. Fenugreek present in this herbal tea is the main milk-boosting ingredient. Though it is a little bitter in taste, the effects of fenugreek on increasing breast milk supply are quite significant. Several moms vouch for the positive impact of Mother’s Milk Tea, and also recommend it to their friends. Sipping a few cups of this herbal tea is definitely good. This tea is very commonly available in most drug stores and even grocery stores. However, it is always best to seek your health practitioner’s advice before beginning to use Mother’s Milk Tea. Today, Mother’s Milk Tea is available online as well as in brick and mortar shops and stores. However, you can make your tea at home to help your body produce more milk for your little one. Whether you chose to consume an already available blend or want to mix your own spices, it is important to understand that the tea is only well-made when you steep the herbs properly. This will require steeping the herbal blend for a minimum of 3 to 5 minutes. However, some herbs are bitter, so you may want to steep them for lesser time. You can choose your own combination and blend them together. To make your own mother’s milk tea, here is what you should do. Pour 1 cup (8 oz) of boiling water over one tea bag or 1 teaspoon of dried herb. Or, you can add a tea bag or 1 teaspoon of dried herbs per cup of boiling water in your teapot. Alleviating iron deficiency (the herbs nettle and alfalfa are rich in iron and increase iron and blood in the body). Many herbs in Mother’s Milk Tea act as antidepressants and can help new mothers deal with postpartum depression. Mother’s Milk Tea consists of the galactagogue herbs in a powerful combination that has a very positive impact on the lactation ability of the woman. Another good thing about this tea is that the herbal combination is often sweet. Fenugreek, in particular, tastes like maple syrup. Another very positive outcome of drinking Mother’s Milk Tea is on colicky babies. The herbs soothe the baby’s stomach, and your baby will have fewer incidences of colic pain and gas compared to those babies whose mothers don’t have these herbs. Mother’s Milk Tea primarily contains the herbs fennel and anise. These ingredients have been used for ages to increase milk production in lactating women. 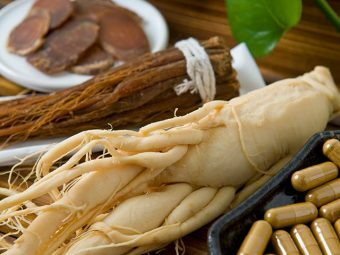 However, there was a report in the Journal of Ethnopharmacology that these contain anethole, dianethole, and photoanethole. These three compounds are chemically similar to estrogen, and excessive consumption of these can have opposite effects too. Fenugreek present in the tea can be responsible for maple-like odor. Your urine and sweat may have this odor. If you notice a maple-like odor in your baby’s urine, consult your pediatrician immediately. This odor is also associated with a serious metabolic disorder called Maple Syrup Urine Disease. Blessed thistle present in Mother’s Milk Tea is responsible for increased production of stomach acids. This can lead to stomach ulcers and heartburn in women if consumed in excessive amounts . Some mothers can experience gas, bloating and diarrhea after consuming fenugreek, according to the U.S. National Center for Complementary and Alternative Medicine. If your little one is sensitive to fenugreek like you, instead of curing the colic, your baby may develop colic. Most herbs can cause allergic reactions. So if you are allergic to one of the herbs in Mother’s Milk Tea, you could get hives, rashes, diarrhea or wheezing. If you consume too much fenugreek, it can alter your blood sugar, causing it to plunge. You can develop hypoglycemia, which can be serious if you have diabetes. Though there are a few side effects of consuming Mother’s Milk Tea, the advantages often overshadow them. Also, drinking the tea in restrained proportions can be an effective way to improve your milk supply. This is enough reason to give this tea a try. Do let us know your experiences with Mother’s Milk Tea. We want to hear from you and welcome your comments. 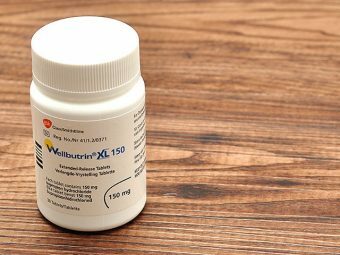 Is It Safe To Take Wellbutrin (Buproprion) While Breastfeeding?